And she was right. 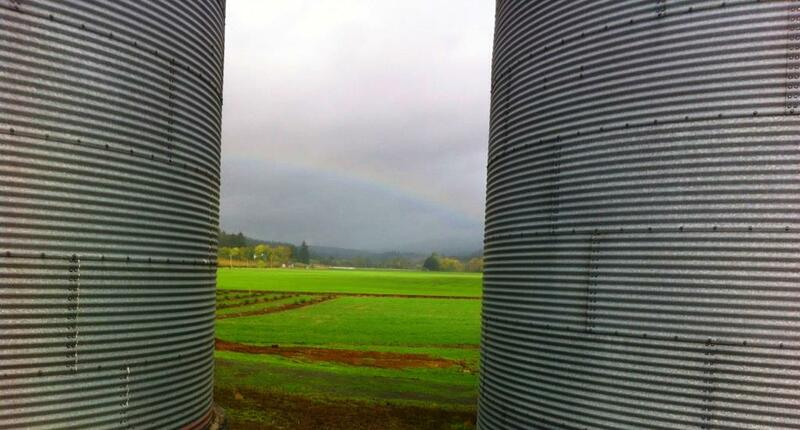 I also believe that farms can be beautiful any time of year, so it was not a hard sale. Carol knew, when she was growing up in Portland, that she was NOT a city girl. Her pathway was not straightforward and she spent years working in a box factory, but eventually she met Doyle. He knew right away that his future was with Carol and in time, after several years along Oregon’s southern coast, they ended up on about 5 acres in Carlton where his mother lived as she aged and needed help. Doyle has also passed on now, but his love for his wife is evident in the rambling farmhouse and buildings. 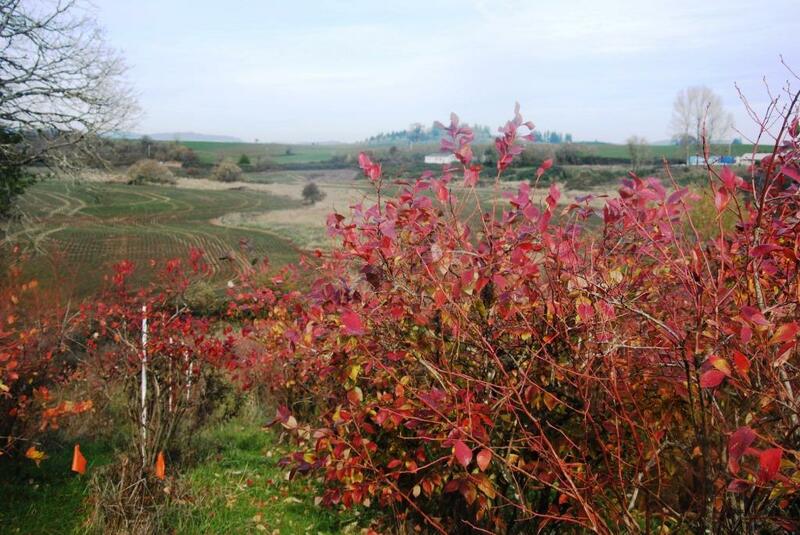 With over 3200 Berkeley and Collins blueberry bushes, the hillside is currently ablaze in red. The plants bear fruit in July into August. She also has frozen blueberries, raspberries, blackberries, strawberries and marionberries as well as apple and peach slices for sale. Carol sells her fruit at the Saturday Farmers’ Market at the Grange in McMinnville, at the Sunday market in Lincoln City in the summer, and at the farm. 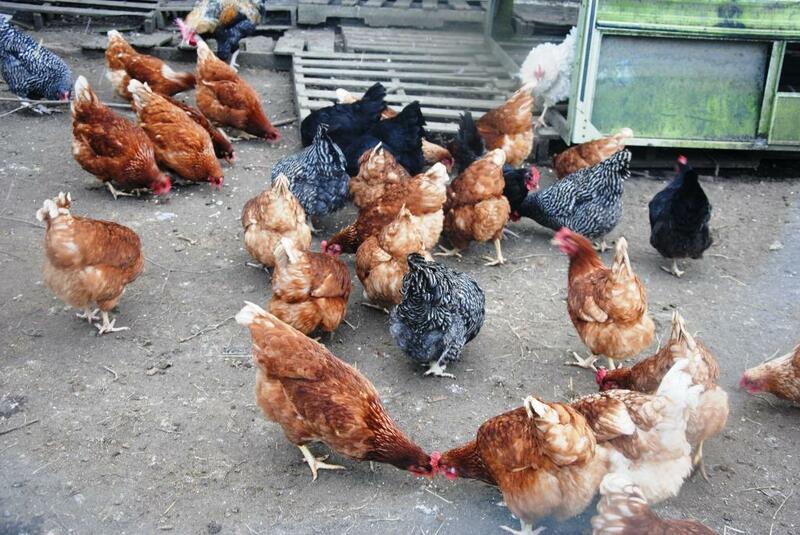 In addition, Blue Acres has about 135 chickens which produce about 5 dozen eggs each day. She also provides some fruit and eggs to area restaurants. The farm once had a working sawmill, but all that remains at this time is the foundation. 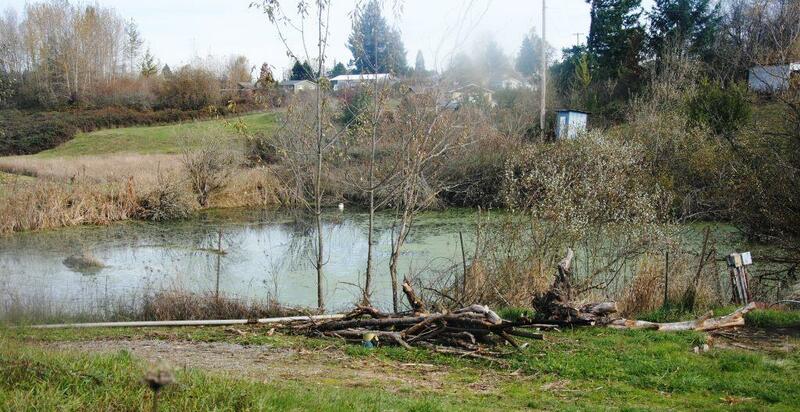 An irrigation pond offers wildlife habitat to migrating waterfowl. 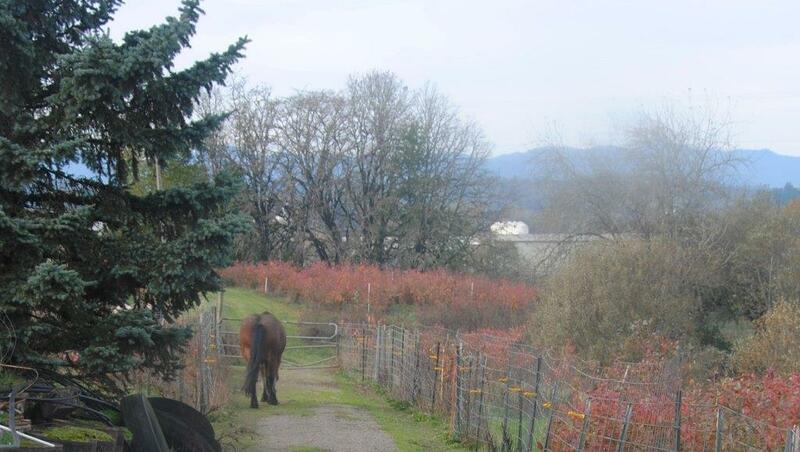 Blue Acres currently is home to two horses. One, Mr. 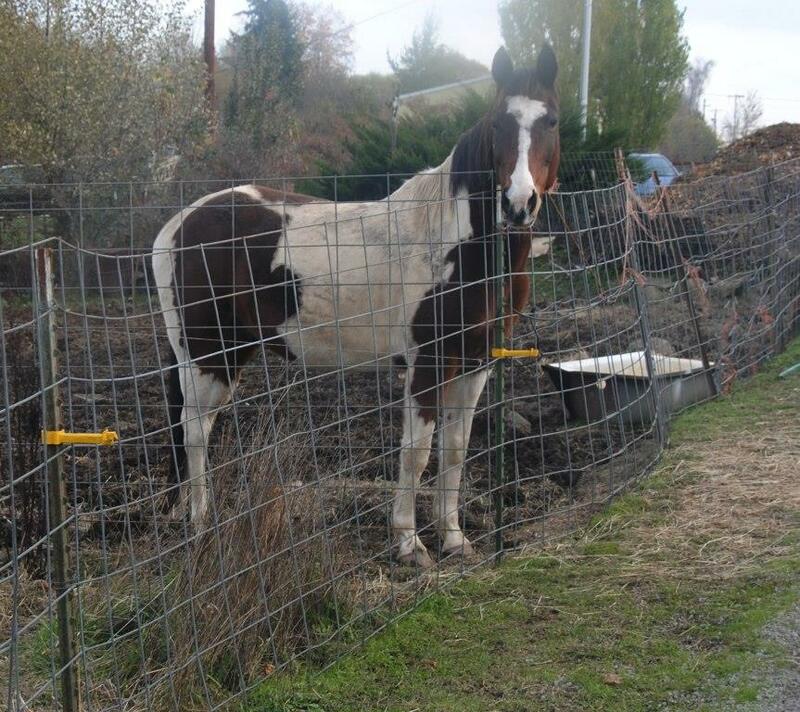 Fancy Dandy is a 15-year-old green-broke gelding who is available for sale to a good home. Please make inquiries. Carol’s right. It is beautiful. 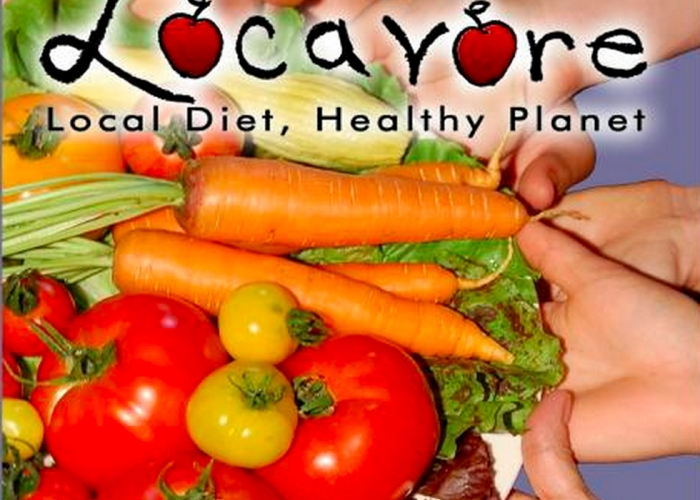 If you are a locavore you make an effort to eat foods raised by local farmers. 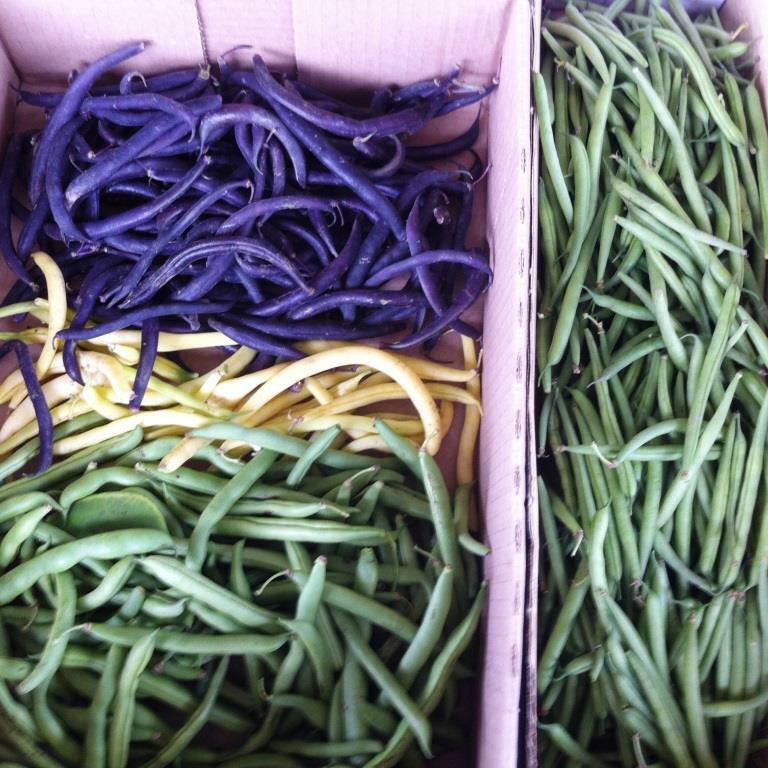 Pretty easy in the summer when the farmers’ markets are bursting with fresh produce. What does it mean at this time of year and through the winter and spring before those markets open once again? 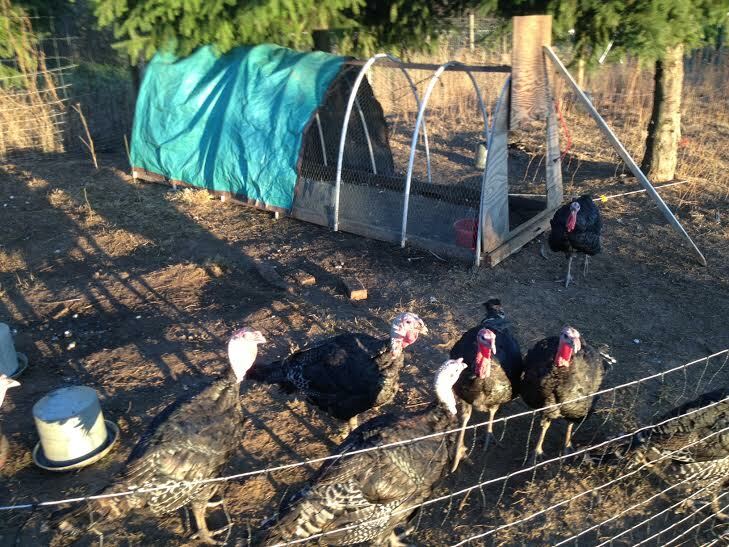 I ordered my turkey about two months ago from Dancing Faun Farm in Sheridan. 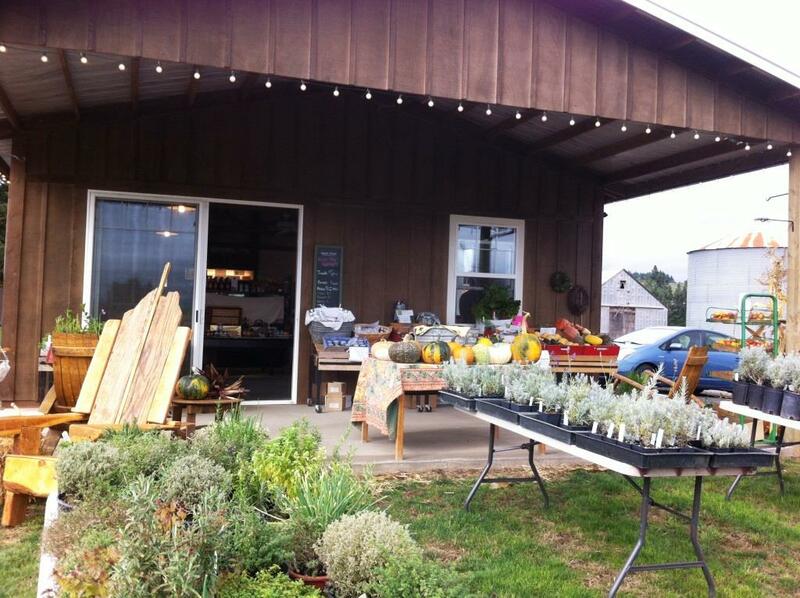 They are regulars at the McMinnville Thursday Farmers’ Market and are currently offering a biweekly delivery service to Mac for eggs and chicken. Their turkeys dressed out HUGE so they offered half turkeys to us with normal size ovens. Understand that a locally raised turkey is considerably more expensive than a grocery store bird. Understand also that the locally raised turkey is free of chemicals and added water. It has been humanely raised and allowed to free range in pasture for the months it needs to grow naturally without hormones. It is worth the extra money, but you need to budget for it. 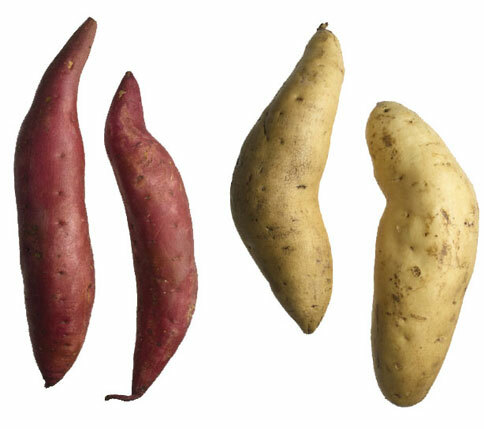 A number of local farms raise sweet potatoes and yams. You can find one near you with the information posted in Local Harvest. My suggestion is to call now, ask for availability and then make an effort to support those farmers all year. 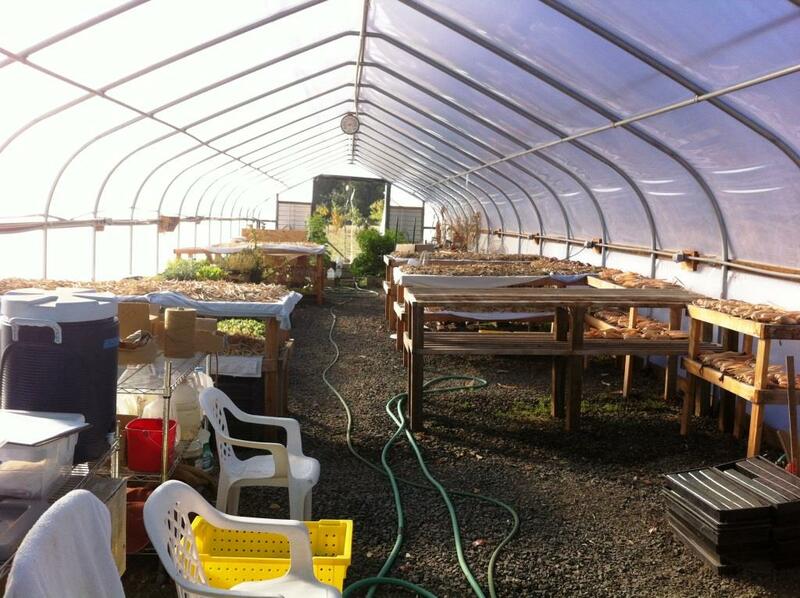 Many offer food through Yamhill Valley Grown but also have CSAs and a few have farmstands. 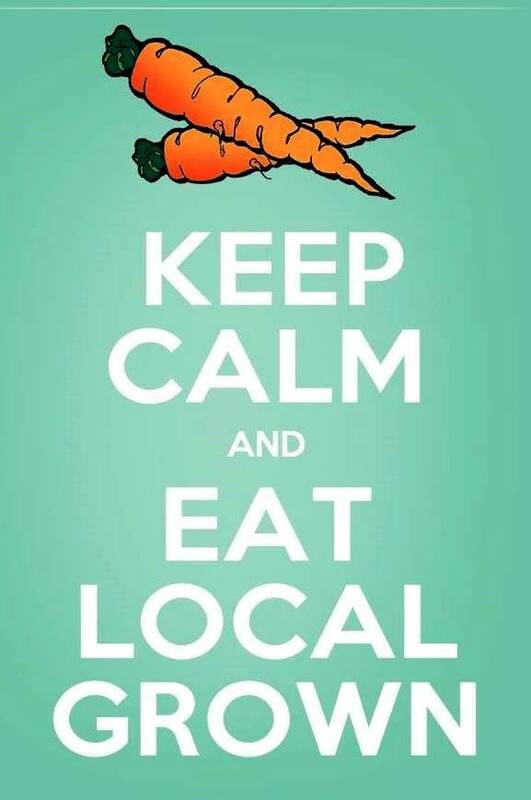 Several towns in the area have winter farmers’s markets that offer fresh produce and food from local farms. 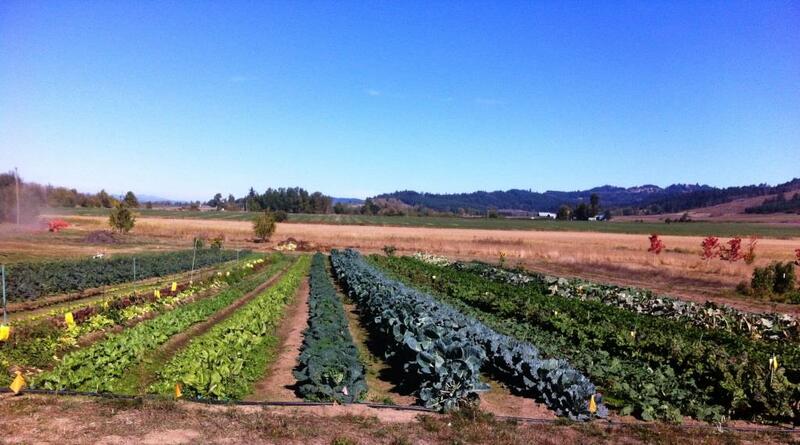 Each Saturday from 10-2 there is a fresh local farmers’ market located inside the McMinnville Grange 1700 Old Sheridan Road, moments off the the intersection with 99WSouth. 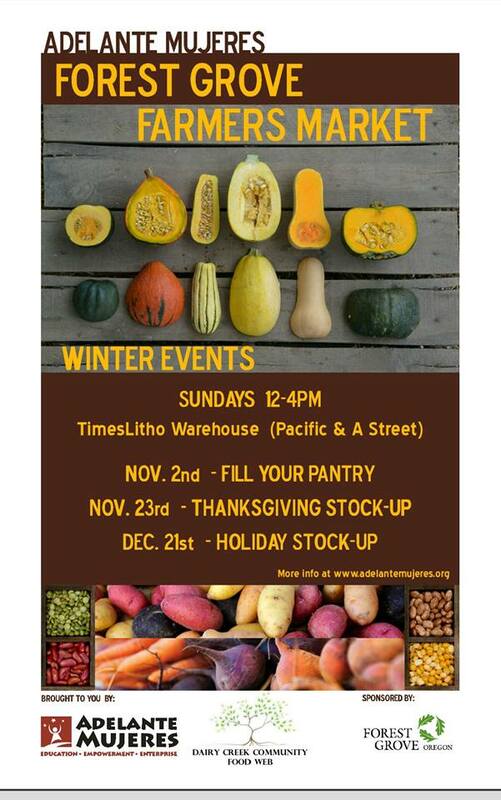 In Forest Grove Adelantes Mujeres and the Dairy Creek Food Web will be hosting two more Fill Your Pantry markets on Sundays, November 23 and December 21 at the Times Litho Building located at Pacific and A Street. 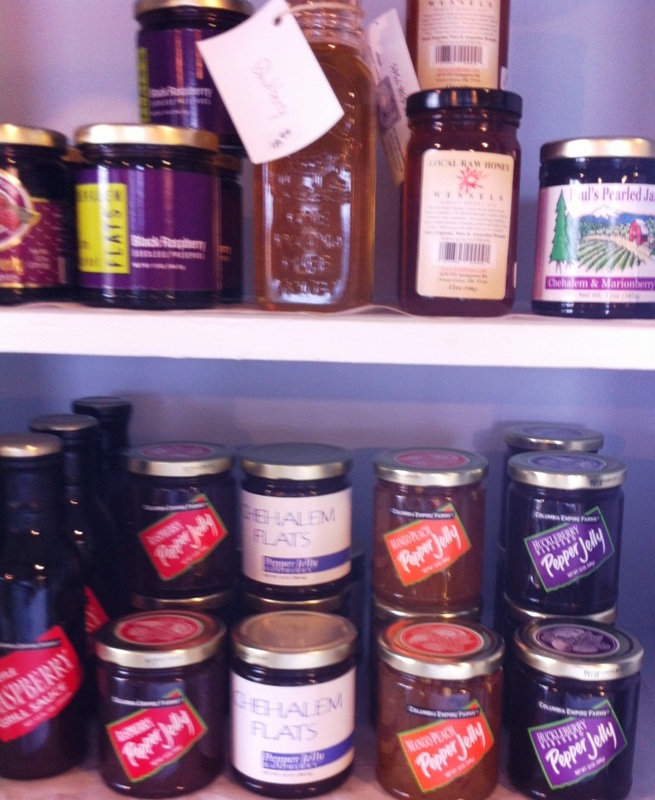 Local food producers bring in produce, meats, honeys, jams and other treats that will suit your tastebuds. The idea of heading to the supermarket to stock up for the Thanksgiving meal is easy. There you can buy anything you want and perhaps its source and contents are really not that important to you. 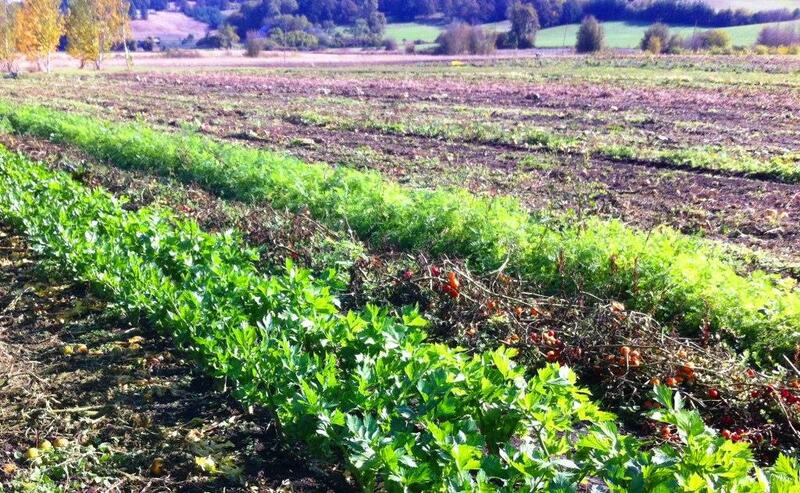 But consider this: the whole concept of a harvest festival, a moment to stop and offer appreciation for all that we have surrounding us, is best served by sourcing those foods locally. 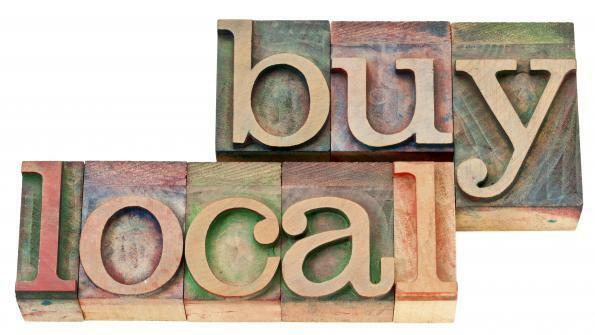 Not only will you be continuing in the footsteps of the original concept, but you will be supporting your local economy, something we all need to think more of especially in this season when we spend so lavishly. 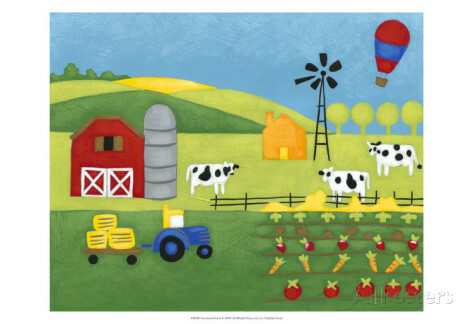 Growing up I knew what a farm looked like. After all, it was in my story books. I grew up in the part of New Jersey which is NOT the Garden State…it is the paved state, so I had very little first hand experience. My maternal grandfather had a chicken farm when I was very small, but he retired by the time I was five or six, so my memories are skimpy and relate to fear of having my feet pecked off, as if chickens are notorious for that. No red barn, no silo, no acres in crops, though. As I visited more and more farms in West Virginia and Oregon in the past four years my view was usually a one-time thing. 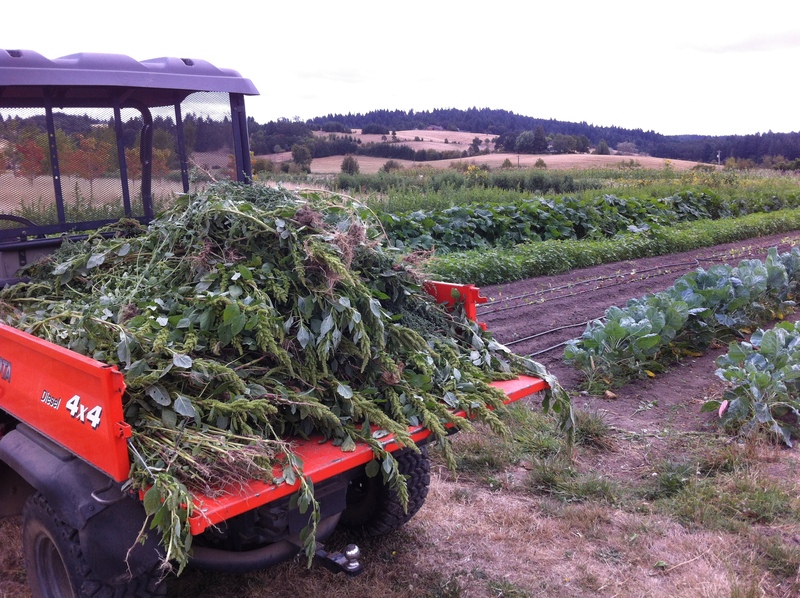 There were a few places I visited more than once and that presented some information of what a farm looks like at various times of the year, but until this temp job, I had not been able to see the changes that occur. changing to this through hours of hard work of weeding and more planting. 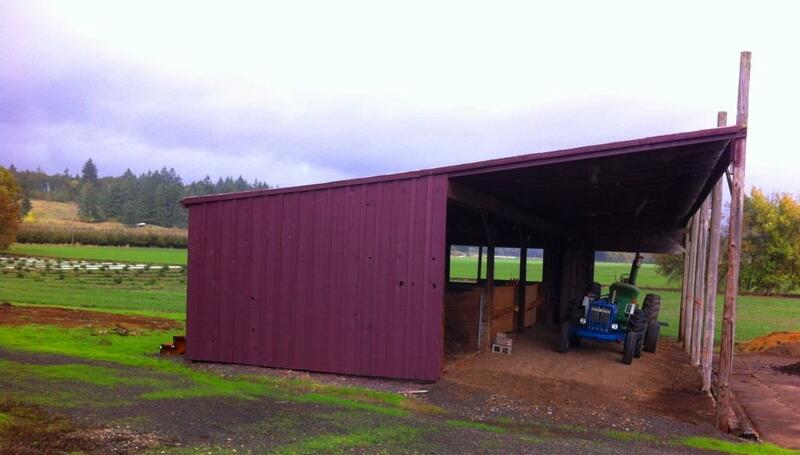 change to this as the growing season ends and the ground needs to be prepared for next year. We consumers really have no idea the amount of work it takes to bring the food we crave to the market. 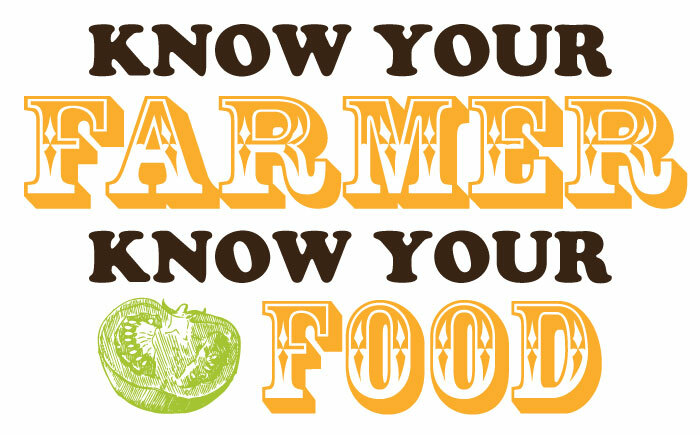 Please take a moment and thank your farmer. You do have one, don’t you? Actually, we have several: 1 for our CSA (about to end next week), 1 for our beef, 1 for our chicken and eggs, 1 for our lamb, 1 for our pork, and now, this wonderful woman who hired me and really tries to give me the easy jobs-I will eagerly be purchasing food in the future from her, too. Jan Ellings and her family had a dream. All the years when work took them away from Newberg, the concept simmered gently on the back burner. 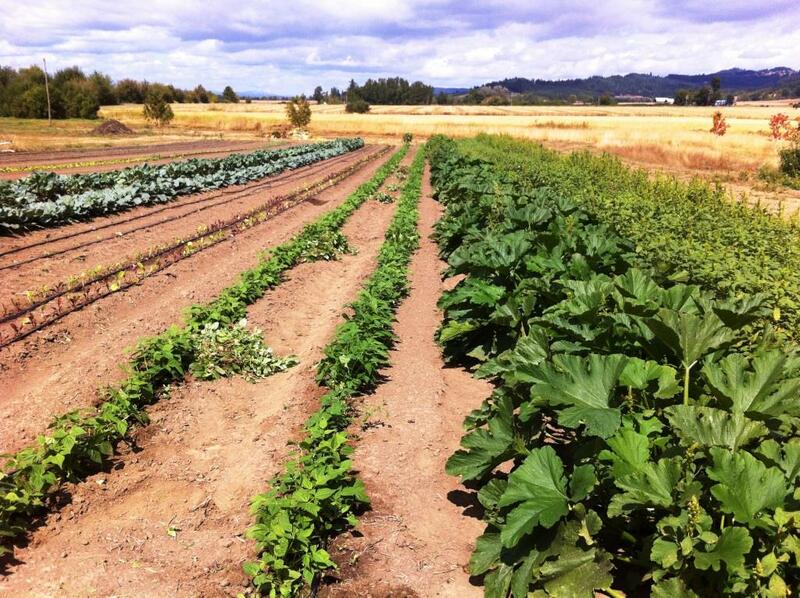 They owned land for 30 years but it wasn’t until they returned to Oregon about ten years ago that the farm at Chehelem Flats started becoming the reality it is now. They always wanted to grow food for the local community. 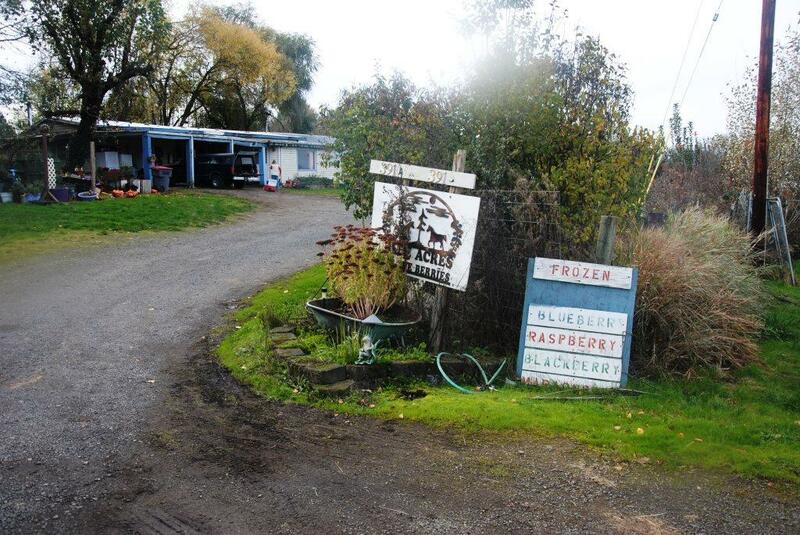 In the past two years the pace has increased with the opening of a farm stand at 17733 North Valley Road, The farm has 80 acres with some leased out for grass seed production, but over time the food production has been and will continue to increase. 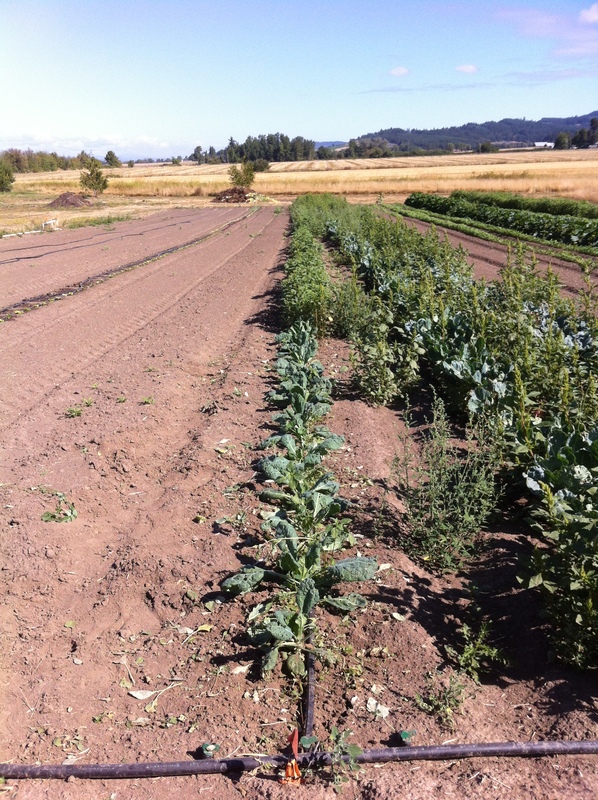 Most of the produce sold at the market is grown in a quarter-acre garden plot with additional land planted with lavender, black currants and figs. 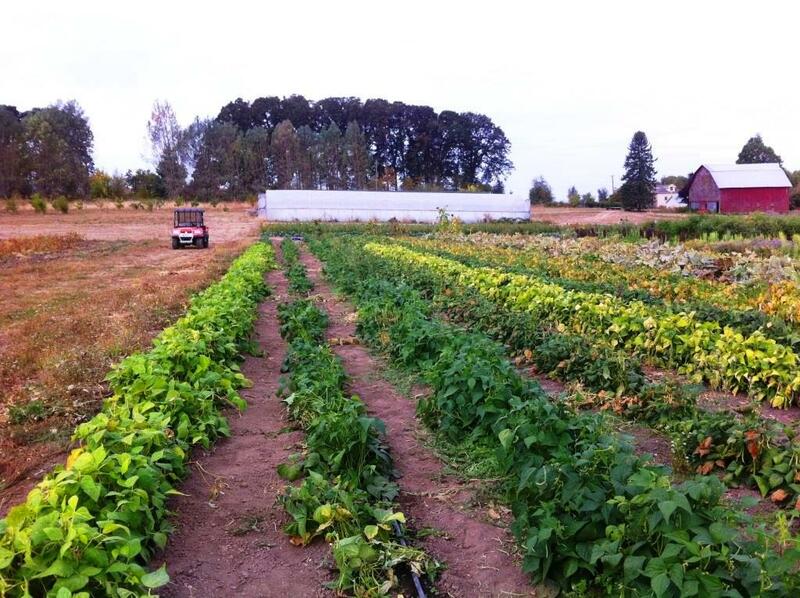 Everything is grown without chemicals but Chehelem Flats is not certified organic at this time. 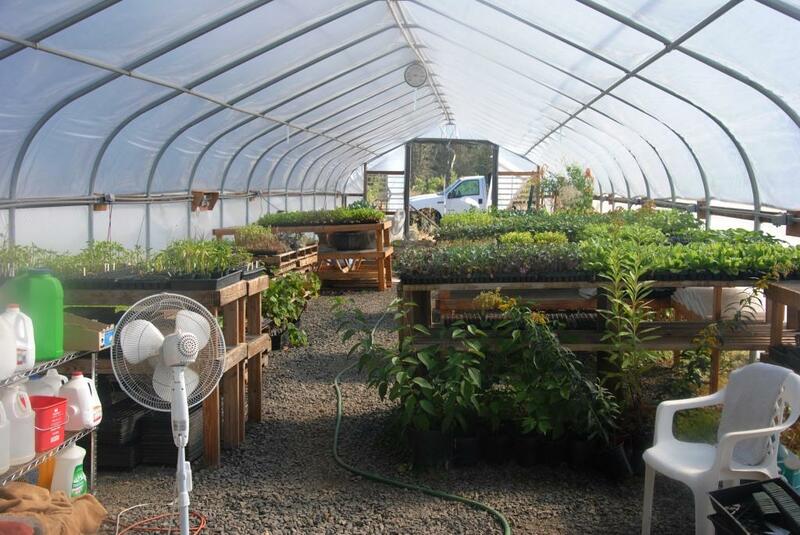 Several small hoop houses provide space for plant starts in the late winter which helps them control the varieties. 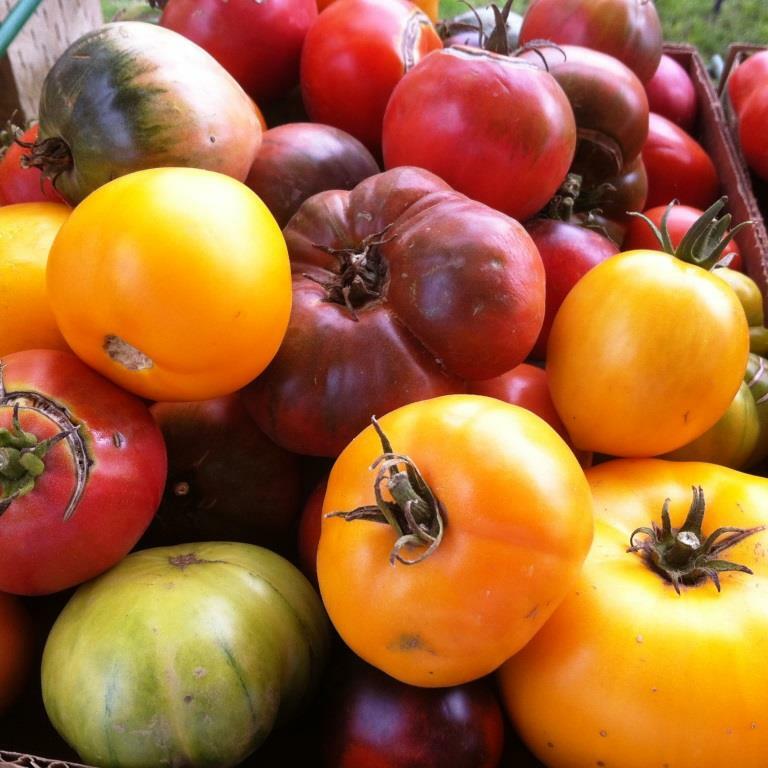 They raise a lot of heirloom produce with amazing flavor, not found in local grocery stores. In addition, their kitchen was recently certified commercial so they will be processing produce and are testing the market now with some jams and preserves for sale. The store also has other items including other foods produced in Yamhill County and other nearby areas of Oregon as well as handmade items from nearby crafters. 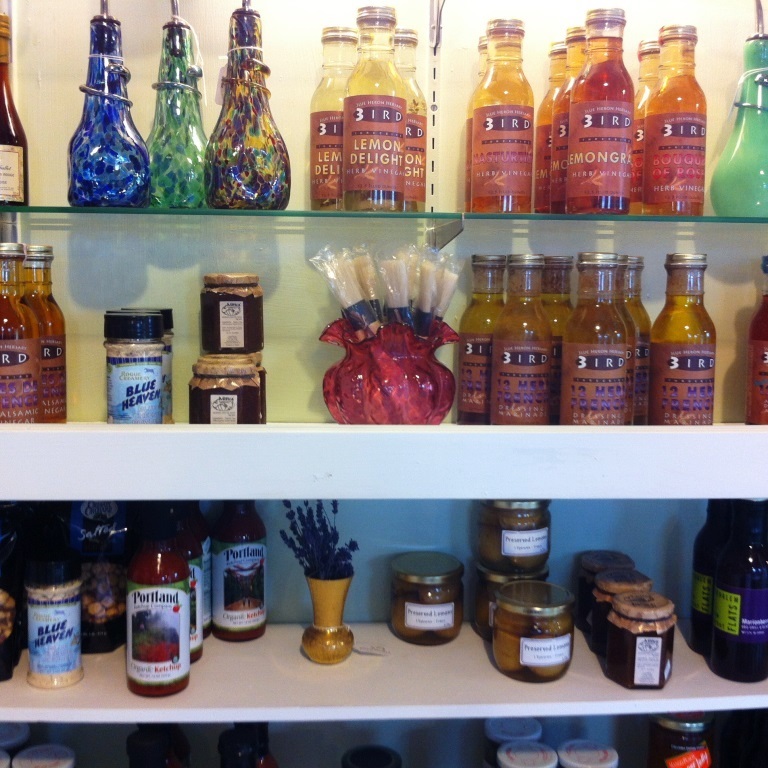 Stop by when out wine tasting on the weekends for lunch items as well as more to be enjoyed at home. Even if the sky is not.